The unrestricted flow of illegal steel imports into the United States is doing more than costing jobs and closing plants. It has also had a substantial impact on the volume of steel that’s being recycled. Production cutbacks by U.S. producers have chopped demand and price of scrap steel, reversing a ten-year trend of increased recycling. U.S. steel mills were at the peak of their efficiency, consuming record volumes of steel scrap to make new steel. However, global economic instability has let to record heights in foreign exporting of steel. Foreign governments, in hoes of bringing hard currency to their economy, subsidized their steel industries, enabling them to export steel to the U.S. for prices lower than the actual costs of production. These slanted prices had a dramatic impact on the U.S. steel industry, as well as related industries and organizations. Last year, the value of scrap steel dropped by almost 50 percent, cutting the amount of steel recycled from cans, automobiles, appliances and construction. 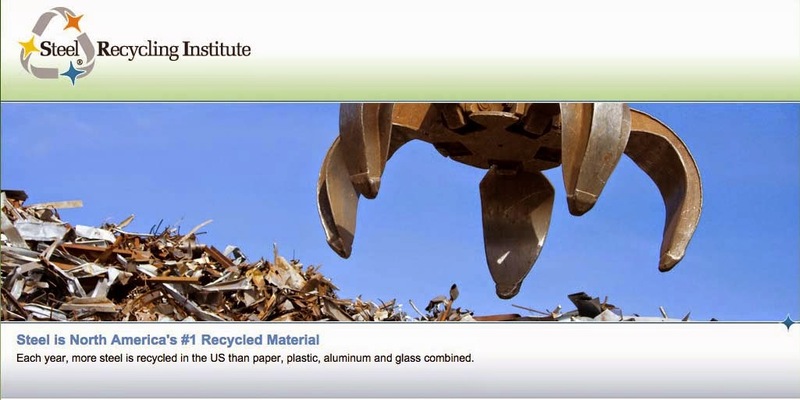 And, while steel recycling has wide-reaching environmental benefits, it is the economics of steel recycling that keeps the steel recycling cycle in motion. Although the import crisis has shown signs of passing, the impact left from the unregulated imports will be felt throughout the steel and recycling industries for some time to come. Anticipating this market turnaround, scrap processors have continued to purchase and stockpile steel scrap. This stockpile will serve as a reserve as production rebounds in the U.S.
Steel scrap continues to be a vital ingredient in the production of new steel, and as steel production rebounds, so too will the demand for steel scrap. A view of the impact that imports have had on recycling is on page three with the 1998 steel recycling rates.